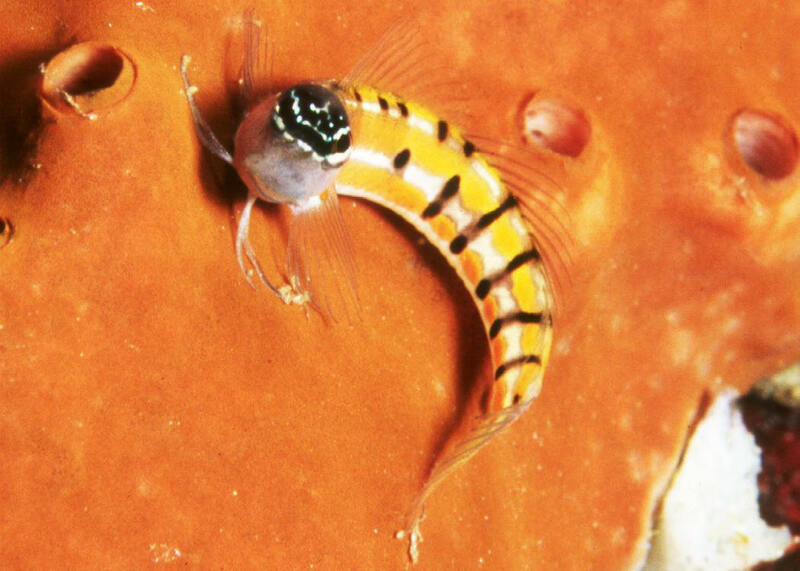 Plagiotremus azaleus (Jordan & Bollman 1890), Sabertooth Blenny. To four inches in length. Eastern Pacific: Gulf of California to Peru, including the Galapagos. Photographed here in the Galapagos. Live in tubeworm and tube-building snail shells. 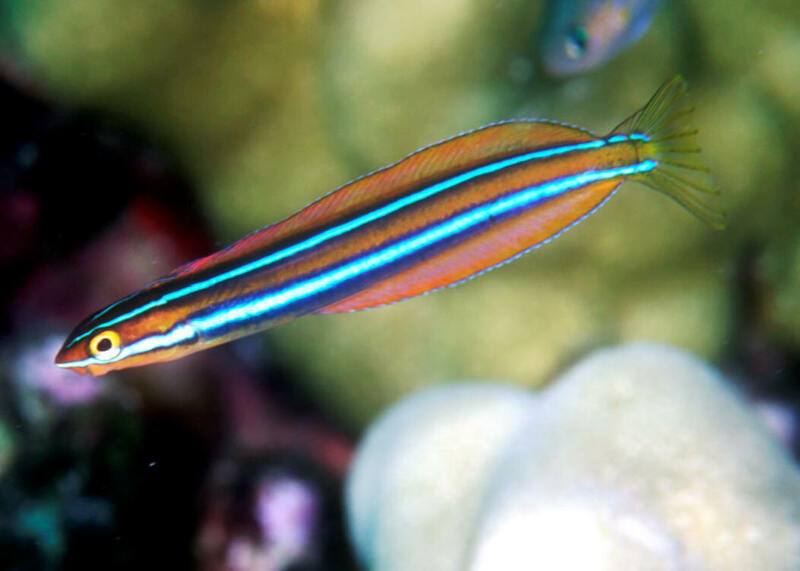 Hide in associations of Rainbow Wrasse to ambush fishes for scales and flesh. Plagiotremus ewaensis (Brock 1948), the Ewa Blenny. To four inches in length. Endemic to Hawai'i. Pix from there. Feed on bits of fishes about them. Difficult to adapt to captive foods. 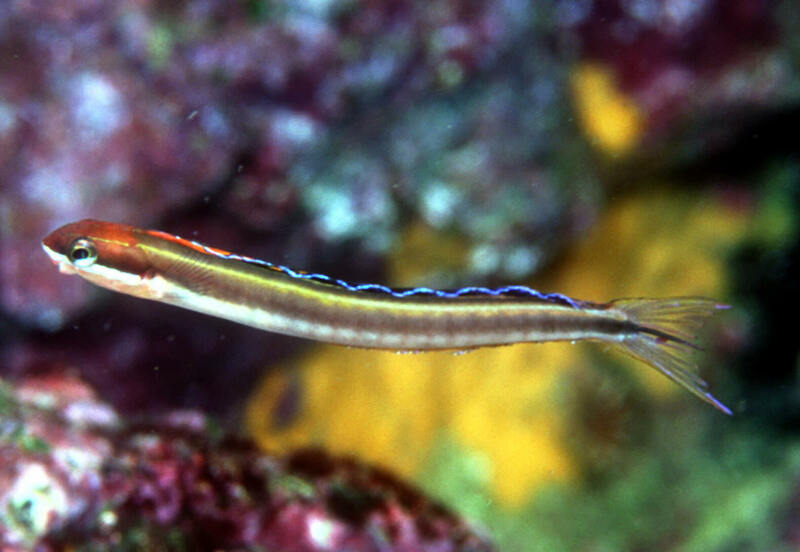 Plagiotremus goslinei (Strasburg 1956), the Biting Blenny. Endemic to Hawaii. To three inches in length. Off of Maui. 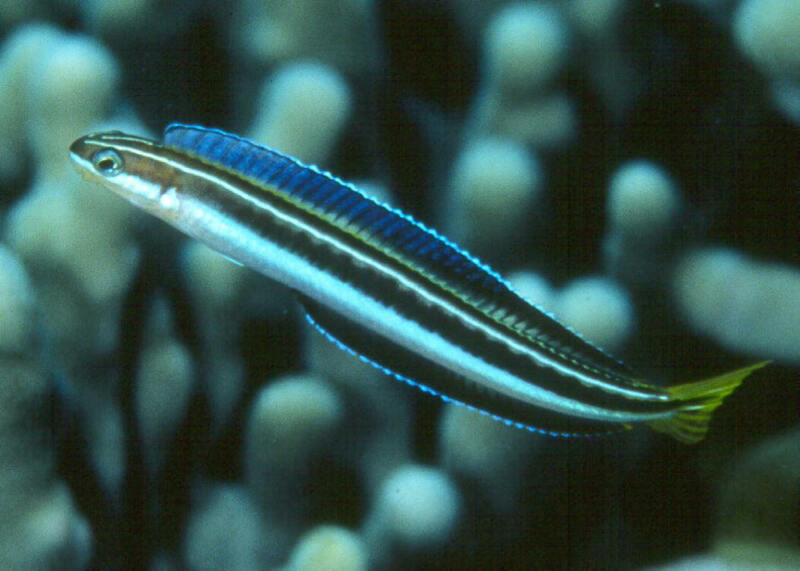 Ecsenius axelrodi (Springer 1988), Axelrod's Blenny. Western Pacific; Admiralty Islands, PNG, Solomons. To three inches in length. This one hanging out on a sponge in Bunaken/Manado in Sulawesi/Indonesia.